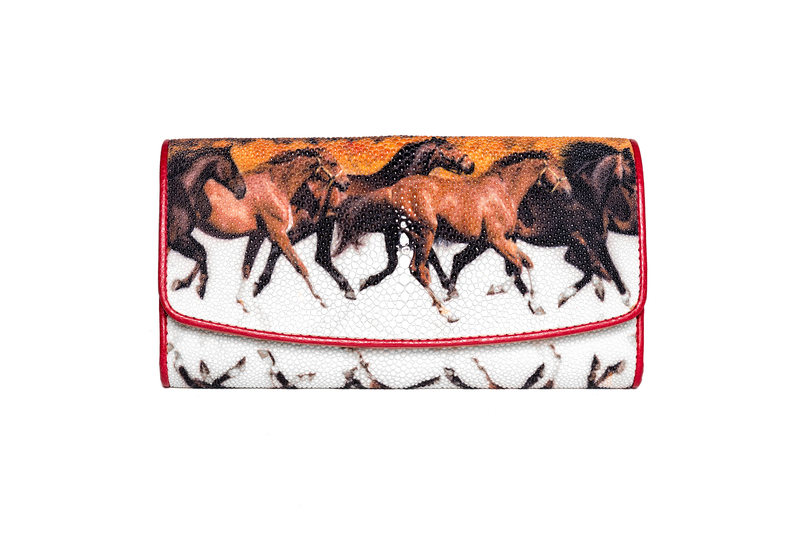 This handcrafted stingray wallet with a beautiful horse art decor provides a chic look. The bag features an accordion style interior and a back pocket. This wallet speaks for itself with its bold colors and unique look. This handcrafted stingray crossover with a beautiful horse art decor provides a chic look and ample space. The bag features an accordion style interior and top-handle, with a detachable shoulder strap for versatility. This bag speaks for itself with its bold colors and unique look.